What Can a New Countertop do for Your Home? Wondering what new countertops can do for your kitchen or bathroom? Because of the large amount of area they cover, this one change can have a tremendous impact on the look and feel of your space. The options you have to choose from when installing new countertops are practically endless. When picking out your new countertops, you will need to select a material, color, and pattern to fit the décor and styling you have planned for your kitchen or bathroom. 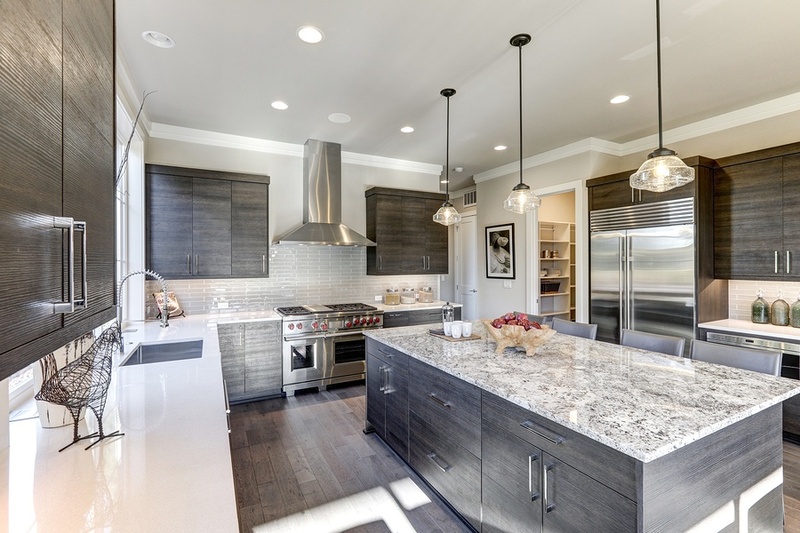 For many years, granite has been the “gold standard” for countertops. It still is a very popular option, but there are plenty of other materials out there to choose from. Countertops can be made from concrete, marble, stainless steel, butcher block, tile, glass, and more. Which material is best for your home’s kitchen or bathroom? Well, depends on what is most important to you. Your budget is one thing to keep in mind while selecting the material. There are plenty of reasonably priced options on the market, but the cost of some of these countertop materials can add up quickly. However, you will also want to consider the material’s durability. Your countertops should last many years, so in some cases, it might be in your best interest to pick a more expensive type of countertop that will withstand the wear and tear of everyday life. Your desired style aesthetic will also play a role in what materials you consider. For example, stainless steel countertops look stunning in a modern style kitchen, but would likely look out of place in a vintage kitchen. Butcher block countertops are currently a very popular choice, thanks to the rise in popularity of farmhouse style kitchens. Countertops are available in many different colors, however the exact color options available will depend on what material you choose. In most cases, color options include neutral and earthy tones of blacks, grays, whites, and browns. This works out well, since these neutral shades offer you more flexibility with paint colors for your walls and cabinetry. However, if you want color and design in your countertops, tiled countertops are the way to go. Countertops also come in a variety of patterns or color variations. They can be solid in color, have slight areas of a single color, or have a high level of variation with multiple colors incorporated. Those with lower levels of variation have a more neutral feel. Those with a higher level of variation tend to stand out a bit more, while also helping conceal any scratches or bumps on the countertop. Which option you prefer is simply a matter of taste. No kitchen or bathroom would be complete without the perfect window shades to complement your new countertops. Interested in learning more about what window shades can do for your home? Contact Polar Shades at 702-260-6110 to schedule your free in-home consultation.